Resin cast wheels and tires. 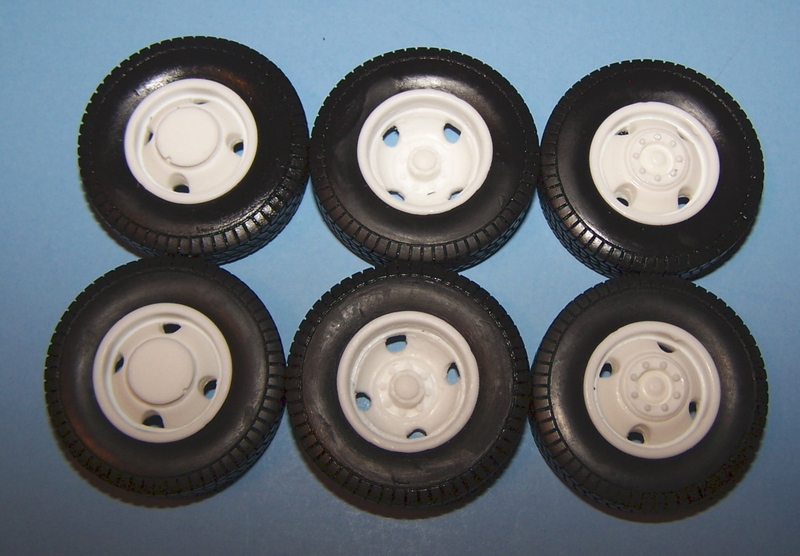 Set of 6 black resin tires with white resin wheels. For use on 1 ton trucks, small tag/pusher axles and tag along type trailers.